Last week I was adding a couple of reviews to the Grand Rapids section on Urbanspoon and decided to see what restaurants have opened recently in Grand Rapids. I’m always looking for new dinner stops and lucky me, there was one that jumped right out at me. 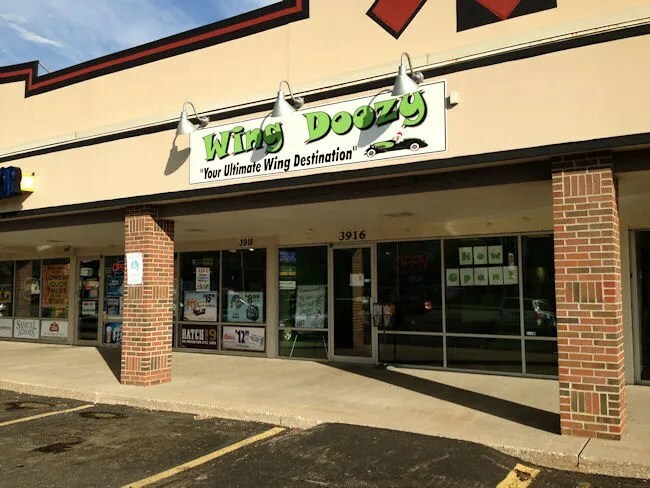 Wing Doozy is on Plainfield Avenue NE in Plainfield Township. It’s just to the northeast of the Meijer between I-94 and the Beltline on the south side of the road. The small wing shop has only a half dozen tables and the kitchen full of deep fryers is on display as you walk in. Since the place has just recently opened, there are menus all over the place. There was a laminated one on each table although there is no table service. The far end of the kitchen opens up just enough for a cash register to peak out. The menu has both boneless and regular wings as well as chicken strips and fish. I don’t get the appeal of boneless wings. The bone seems to be where all the flavor is. I ordered eight regular wings with Parmesan rub and a large order of fresh cut fries. The total was right around $10 without the drink, but I could have went with a little bit of a cheaper option by order the smaller fry…but FRESH CUT. The order took about ten minutes to cook as everything was cooked when ordered. As my meal was being bagged up, I was asked if I wanted any sauces. Since I got wings that were rubbed and not sauced, I declined, but I was told there was a cup of the Doozy Dip for the fries. The wings were on the large side and very juicy. The Parmesan rub was generously applied and while I would have enjoyed it just a hair more had it been a Garlic Parmesan rub, the wings were very delicious and I had a lot of jealous co-workers following their noses down the hall to see where that yummy chicken smell was coming from. 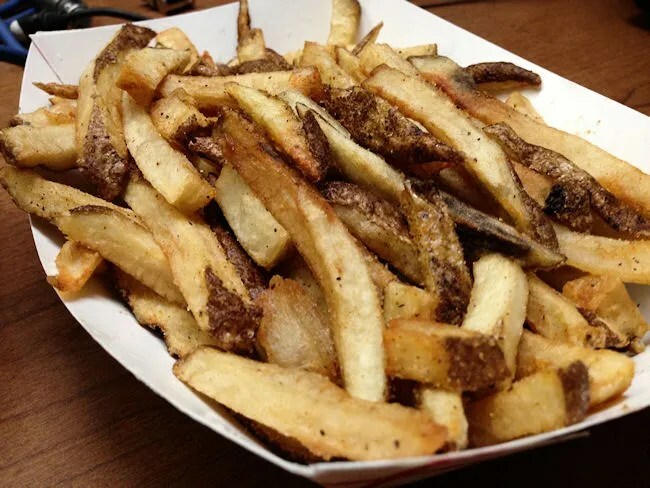 The fries were deliciously fried skin on french fries with a seasoning salt dusting. The Doozy Dip appeared to be a take on Fry Sauce with a little addition of various spices. 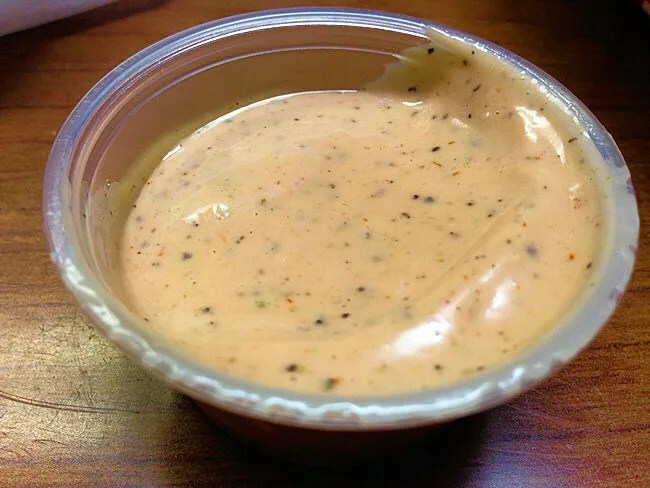 Since fry sauce is generally mayo and ketchup, two things I don’t like, the Doozy Dip didn’t really appeal to me. I gave it a try, but it just wasn’t my thing. 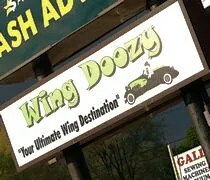 Wing Doozy is sort of out of the way for me to hit up on a lunch break, but that’s not a reason for me not to go back. The meal was very tasty and if I worked closer (like I actually used to), I would pick up wings pretty often. 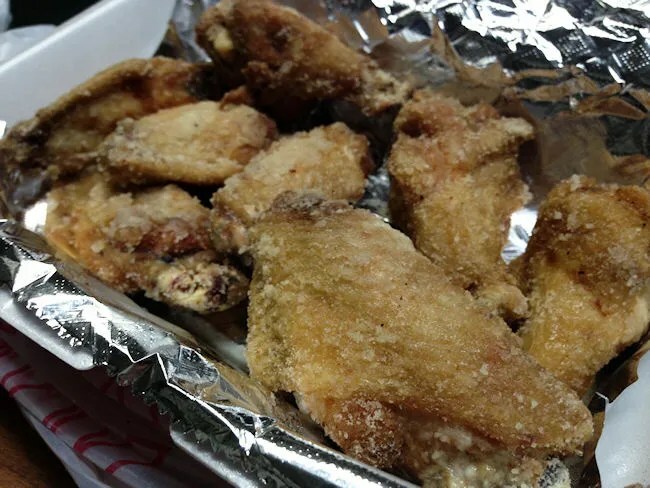 Good wing places always have a place in my dinner time rotation….Wing Doozy nosed it’s way in.